Lucasfilm Animation has released the latest trailer for its upcoming anime-influenced series Star Wars Resistance. The trailer dropped Friday on Disney’s YouTube channel. See trailer below. The series starts out before the events that took place in The Force Awakens. It features fresh new character including Kazuda Xiono, a young pilot recruited into the Resistance to spy on the First Order. “Can you imagine what it’s like to be an ace pilot?” Kaz says. Oscar Isaac and Gwendoline Christie are also reprising Dameron and Captain Phasma, their characters in the Star Wars sequel trilogy. “Star Wars Resistance” is set to premiere on Disney Channel on October 7, 2018 and then later on Disney XD. 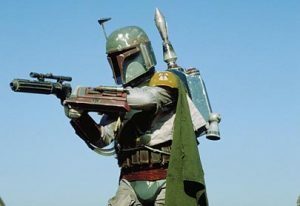 With all the attention Han Solo is getting this week, Lucasfilm and Disney is already lining up its next Star Wars character spin-off in the form of Boba Fett, this according to The Hollywood Reporter. “Logan” writer and director James Mangold is apparently doing double duty again, both helming and writing the script for the film about the bounty hunter and cult favorite among fans. Mangold’s Logan collaborator Simon Kinberg is said to be working with Mangold as co-writer and producer. Boba Fett first appeared in “The Empire Strikes Back” (1980) and then again in “Return of the Jedi” (1983) as a bounty hunter for the Galactic Empire and has since become a fan favorite. That said, there’s not a lot of backstory revealed around the character in the Star Wars film series. Although in Episode II – Attack of the Clones (2002), it was reveled that he is an unaltered clone, with Jango Fett being his father and genetic template for clone soldiers of the empire. Where the planned Boba Fett film fits into Star Wars timeline or the recent anthology films Rogue One and Solo remains to be seen. There is also the book based Fett stories including “Star Bounty Hunter Wars,” a trilogy of novels by K.W. Jeter which supposedly serves as Return of the Jedi sequel. Mangold brings plenty of good reputation to the film. Logan, the third and final Wolverine solo film, was boxoffice and critical success last year. He also helmed “Walk the Line”, “3:10 to Yuma” and “Knight and Day”. Following the movie’s star-studded world premiere Thursday in Los Angeles, the first reactions are starting to trickle out, may of which has been shared on social media. Fans can now breathe a sigh of relief, as most reactions so far has been positive. Many are praising Alden Ehrenreich’s own take of the iconic titular hero, the supporting cast including Donald Glover as Lando Calrissian and Ron Howard’s solid direction. We are sure to get more reactions in the coming days at it continues to roll out including a screening at the prestigious Cannes Cannes Film Festival on May 15, 2018, ten full days before its official release in the United States on May 25, 2018. 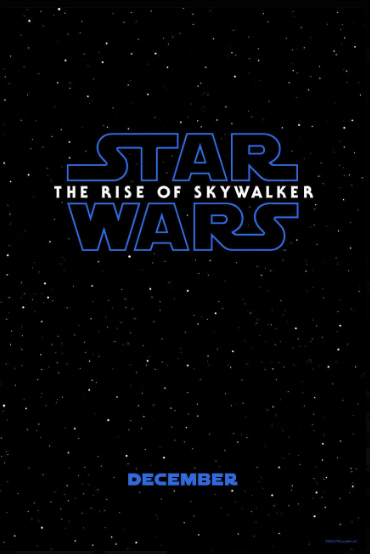 Directed by Ron Howard and produced by Lucasfilm from a screenplay by Lawrence and Jon Kasdan, the film is an origin story of the iconic character and focuses on his adventures. Alden Ehrenreich is playing the younger version of the title character, while also in the film are Woody Harrelson, Emilia Clarke, Donald Glover, Thandie Newton, Phoebe Waller-Bridge and Joonas Suotamo. Disney has another boxoffice phenomenon on the horizon as its “Solo: A Star Wars Story” is pacing ahead of Black Panther in advance ticket sales, according to Fandango. The film’s tickets went on sale May 4th. 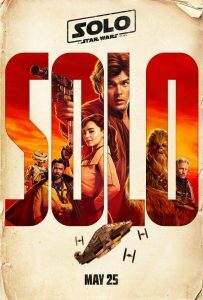 This would put “Solo” among 2018’s best first days of presales, and second to “Avengers: Infinity War.” Current projections puts the film’s four-day Memorial Day holiday in the $170 million range. If these estimates hold, it would put the Disney and Lucasfilm Star Wars spin-off ahead of the current record set by Pirates of the Caribbean: At World’s End, which opened to $139.8M during Memorial Day weekend in 2007. According to the press release, fans who buys a ticket or more from Fandango will receive a poster of the movie while supply lasts. To see the promo, please go to fandangofanshop.com. ‘Solo: A Star Wars Story’ is slated for release on May 25, 2018. The spin-off is set to premiere at the prestigious Cannes Film Festival on May 15, 2018, ten full days before its official release in the United States on May 25, 2018. After building their forces in complete secrecy, the Rebel Fleet is finally ready. But how long will they be able to stay hidden from the dark clutches of the Empire – and Darth Vader himself? 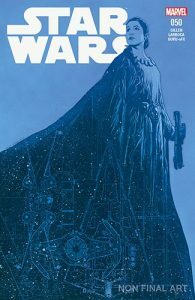 Star Wars fans won’t want to miss series writer Kieron Gillen’s epic landmark issue where all may be lost…and all hope may die. Lucasfilm and Walt Disney Studios’ summer tentpole “Solo: A Star Wars Story” is set to make its debut at the Cannes Film Festival, where its set to screen out of competition. 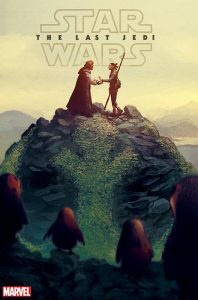 The highly-anticipated second Star Wars spin-off is set to premiere at the prestigious festival on May 15, 2018, that is ten full days before its official release in the United States on May 25, 2018. The premiere is certainly a surprise given that the Cannes Film Fest is known to platform artsy highbrow films than Hollywood blockbusters. But that is actually not always the case. In fact, George Lucas’ “Star Wars: Episode III – Revenge of the Sith” officially premiered on the same day thirteen years ago at the festival. 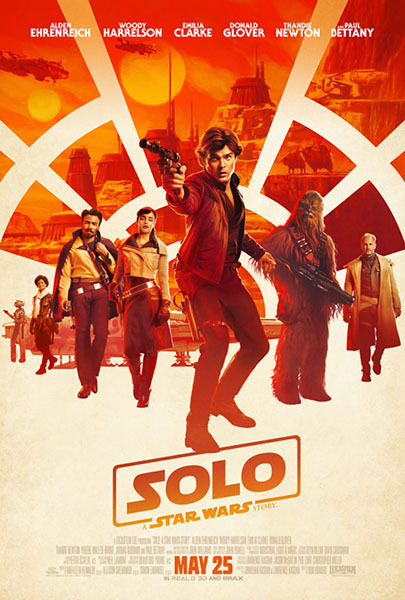 Directed by Ron Howard and produced by Lucasfilm from a screenplay by Lawrence and Jon Kasdan, the film is an origin story of the iconic character and focuses on his adventures, with Alden Ehrenreich playing the younger version of the title character. Also in the film are Woody Harrelson, Emilia Clarke, Donald Glover, Thandie Newton, Phoebe Waller-Bridge and Joonas Suotamo. Cannes Film Festival will run from May 8 to 19, with the competition jury headed by Cate Blanchett. Asghar Farhadi’s psychological thriller “Everybody Knows” starring Penelope Cruz and Javier Bardem is scheduled to open the festival. 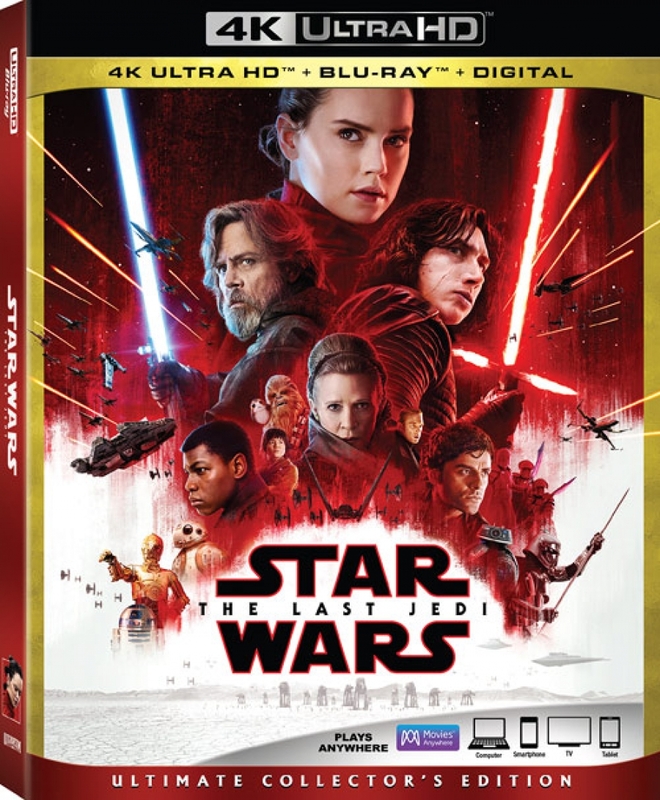 Disney and Lucasfilm have officially announced the release of “Star Wars: The Last Jedi” for Blu-ray, DVD, and 4K Ultra HD Blu-ray. The company dated the releases on March 13 for digital, and March 27 for Blu-ray. 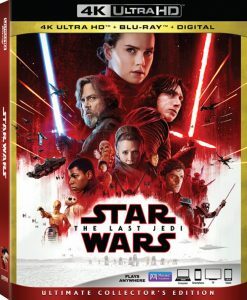 Today, the Star Wars Twitter account gave us a trailer (which contains a few spoilers if you have not seen the film) as well as some details of on starwars.com, and it’s packed with a lot of bonus features to excite fans, all 14 of them. It looks like Lucasfilm and Walt Disney Studios is gearing up with its film’s promo. After last week’s Super Bowl teaser trailer spot comes the poster reveal of the upcoming summer tentpole “Solo: A Star Wars Story”. Also on Wednesday, director Ron Howard announced that actor and filmmaker Jon Favreau (Iron Man, The Jungle Book) is voicing a very cool & important alien character for #HanSolo. “Flattered & fortunate I could pull him away from his #LionKing directing duties,” announced by Howard on Twitter. 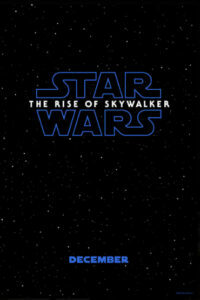 Produced by Lucasfilm from a screenplay by Lawrence and Jon Kasdan, the film is an origin story of the iconic character which focuses on his adventures, with lden Ehrenreich playing the younger version of the title character. Also in the film are Woody Harrelson, Emilia Clarke, Donald Glover, Thandie Newton, Phoebe Waller-Bridge and Joonas Suotamo. ‘Solo: A Star Wars Story’ is slated for release on May 25, 2018. The six-issue miniseries tells an all-new, exciting story that movie and comic fans alike will enjoy. It’s new Star Wars stories in a tale you already know: relive the magic of Rey’s heroism, Finn’s bravery and Poe’s daringness in STAR WARS: THE LAST JEDI ADAPTATION, out this May.